Please no phone calls to request fishing. 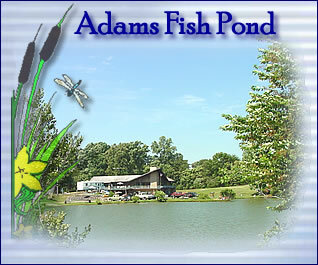 The pond is permanently closed. Lou and I have made the decision that it's time for us to close the pond for fishing. Our health and other factors have made this decision necessary. We just need to spend our time relaxing and enjoying the summer months. We want you "Guys and Gals" that have fished with us, to know that we will miss you and we remember you fondly. If you would like to view some of the slideshows from previous years of fishing, click the link below.